Hi friends. 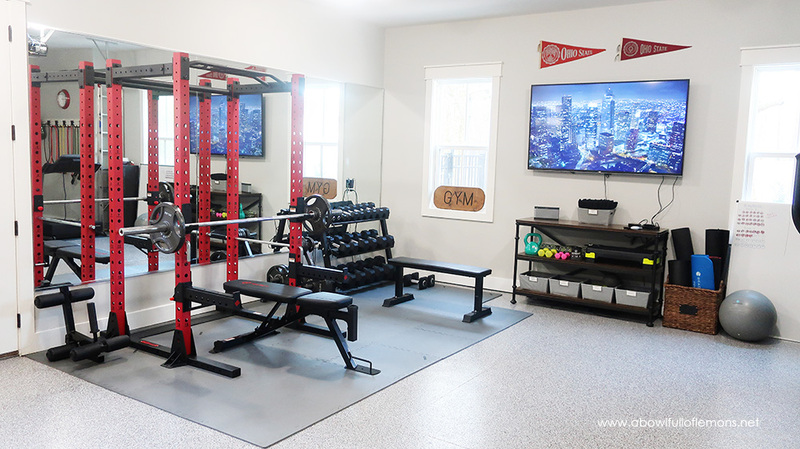 It’s finally time to reveal our home gym! I think this has been the most requested post I’ve gotten this year (besides my Sunday meal prep – which I will do soon). 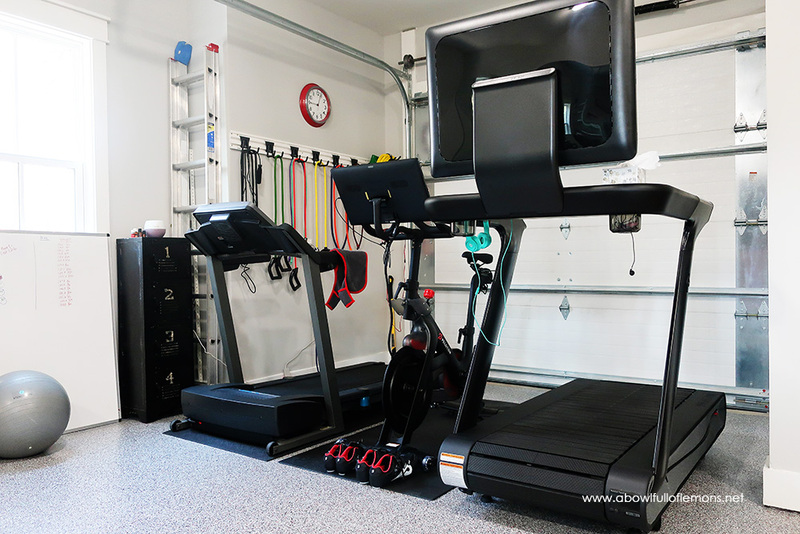 When we built our new home, we decided to add an extra bay in our garage, so we had the space for a home gym. My husband parks his truck in the driveway and mine is in the first bay. We use the second bay for bikes and the lawn mower. 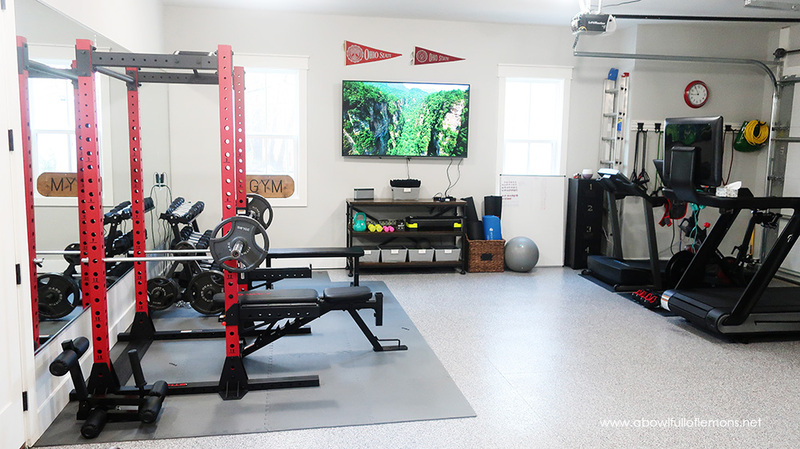 It worked out perfectly and we are so thrilled with our home gym. Our gym area measures 15 ft wide x 24 ft long. We had spray foam insulation installed in the walls and ceiling to maintain a cooler temperature during the summer and warmer temperature in the winter. So far, it’s worked great. We will be installing wall fans before summer arrives though. I’m hoping we won’t need to install an ac unit. We had a full length wall mirror installed on the left wall. It makes the gym appear larger and it’s great to observe our form when lifting. 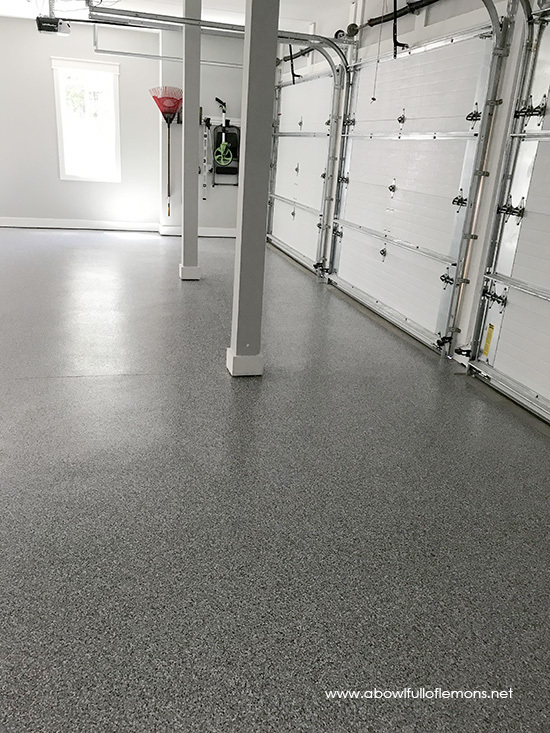 We also had the garage floor painted with industrial-grade polymer flooring. 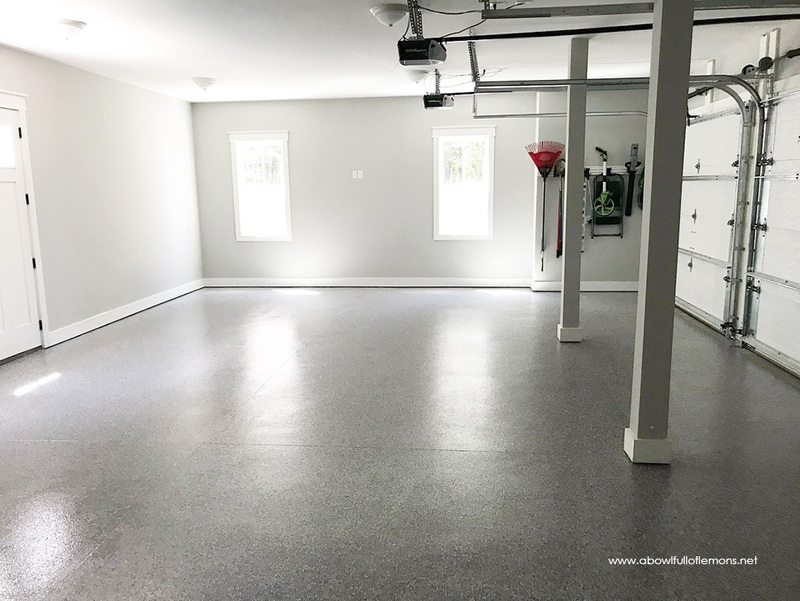 This is not a big box store floor paint. We used Carolina Flooring Specialists. I highly recommend them if you are in North or South Carolina. My husband and son love the squat cage. We found it at Dicks Sporting Goods. The weight bench is from Target. The square gym floor mats were purchased at Marshalls. This is our dumbbell corner. 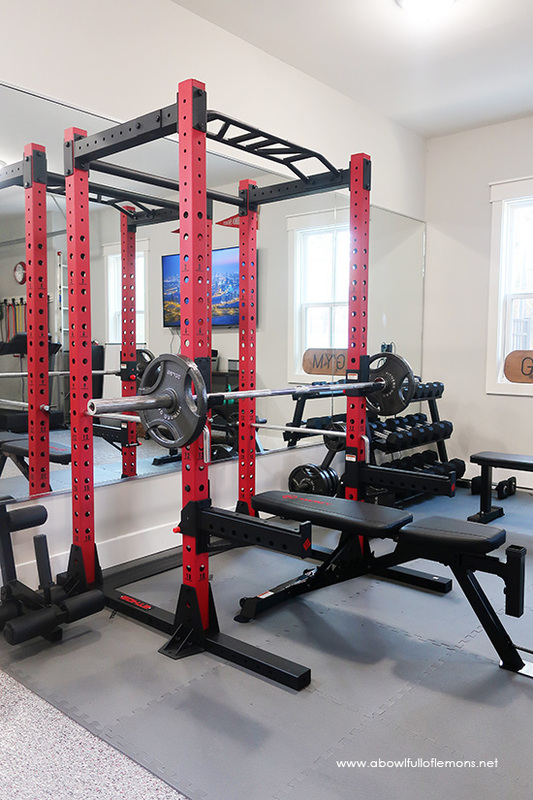 I also purchased a small weight bench for this area. This “gym” sign was found at an antique store. We purchased a 5-50 pound dumbbell set. I love and use them daily! 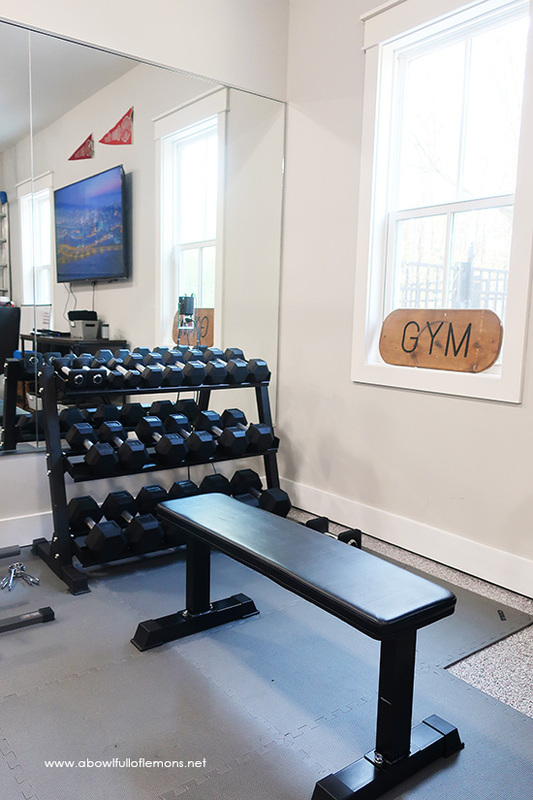 On the middle wall is our big screen tv (with Apple TV) and our miscellaneous workout items. For reference, our tv is 70″. I found the stand at Birch Lane a few years ago. All of the bins are from Target. 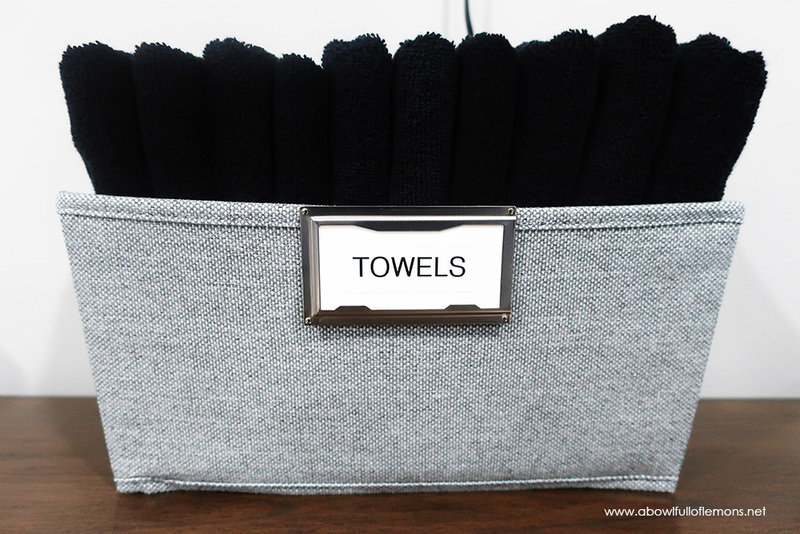 I keep a bin filled with black hand towels that we grab during sweaty workouts. I have had SO many requests to share my workout playlist with everyone. 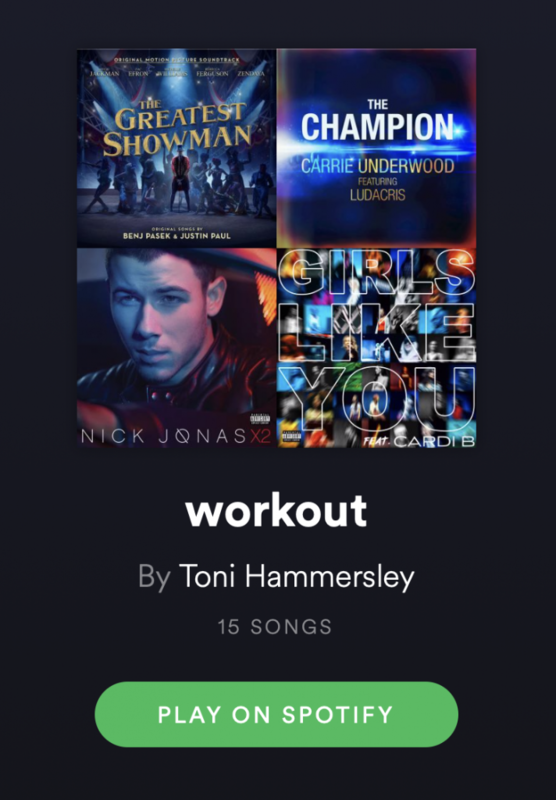 Here it is –> Toni’s workout songs. These songs motivate me to get through my daily workouts. I use a Bose speaker. This speaker is no longer available but there are many other options to choose from. 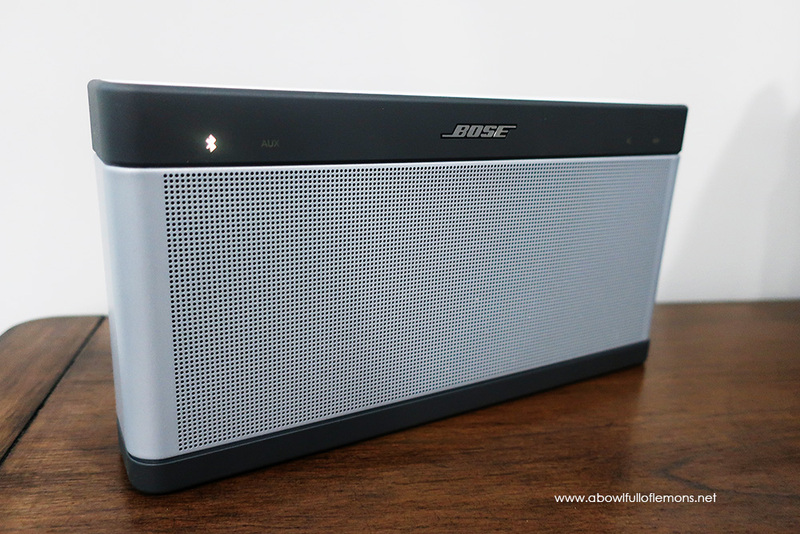 Whatever you get, I highly recommend a Bose. The shelves contain our workout items. 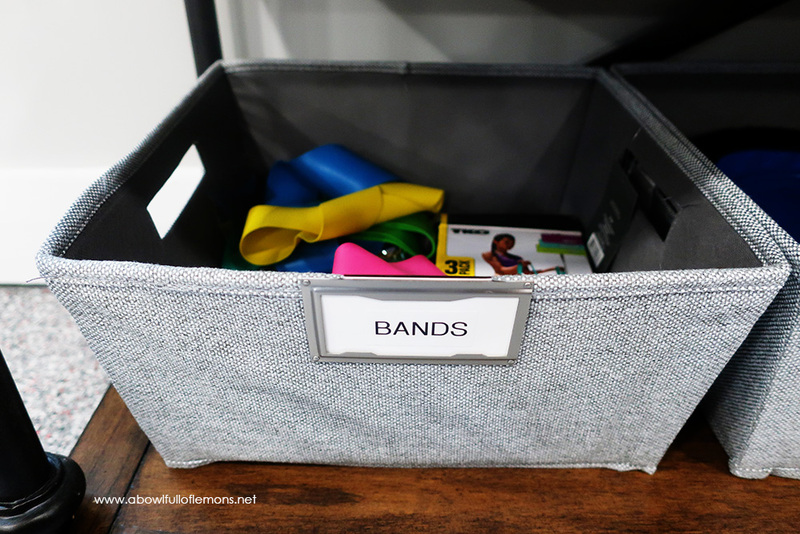 I store ankle weights, hand weights, yoga accessories, sliders, and workout bands in the bins. (The labels are from Target). 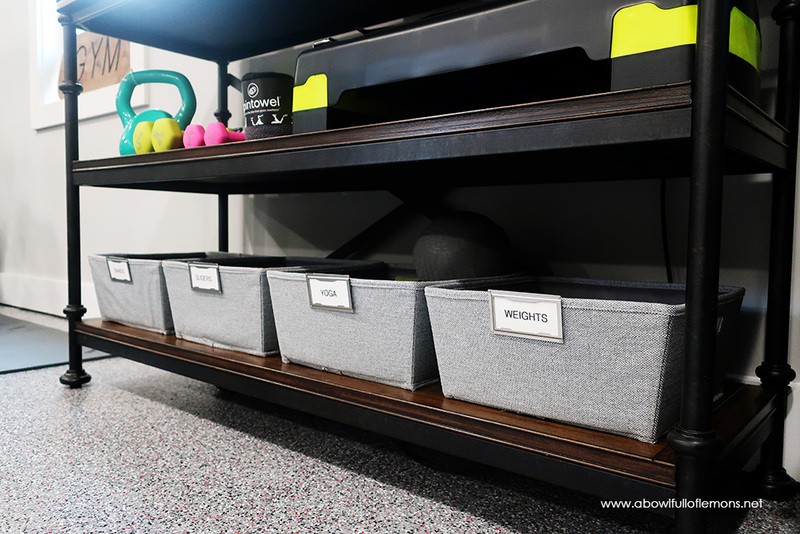 The top shelf has my Transform 20 workout step, a yoga mat, and more weights. 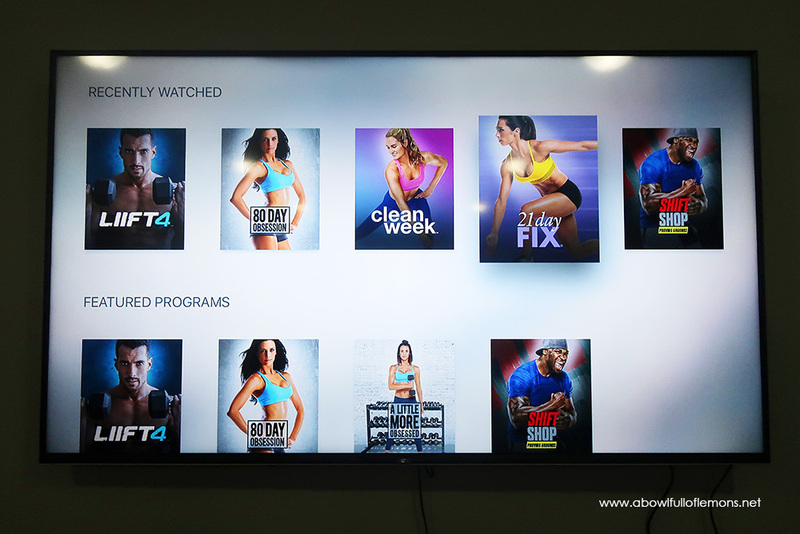 I use the Beachbody on Demand workout programs daily. They have helped me lose over 20 pounds! If you are interested in subscribing, click here. You have over 700 workouts to choose from. It’s amazing. It includes P90X, Insanity, 80 Day Obsession and so much more. 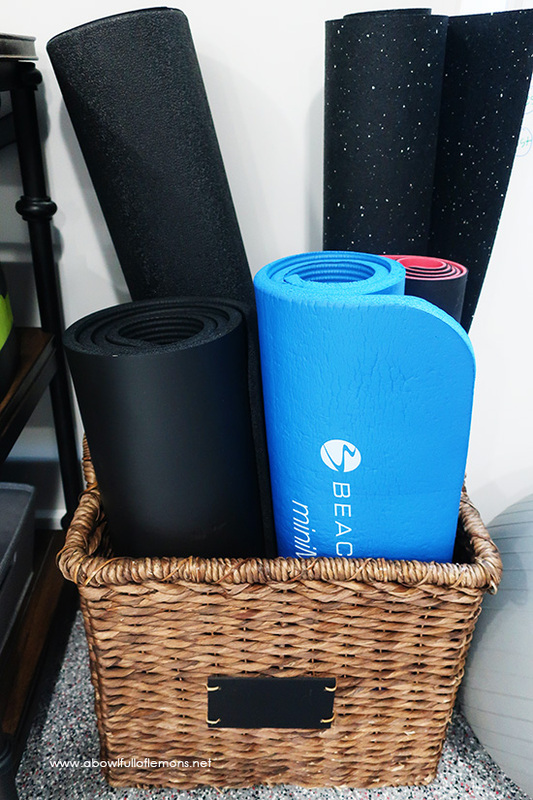 I keep our workout mats in this basket (from Target). 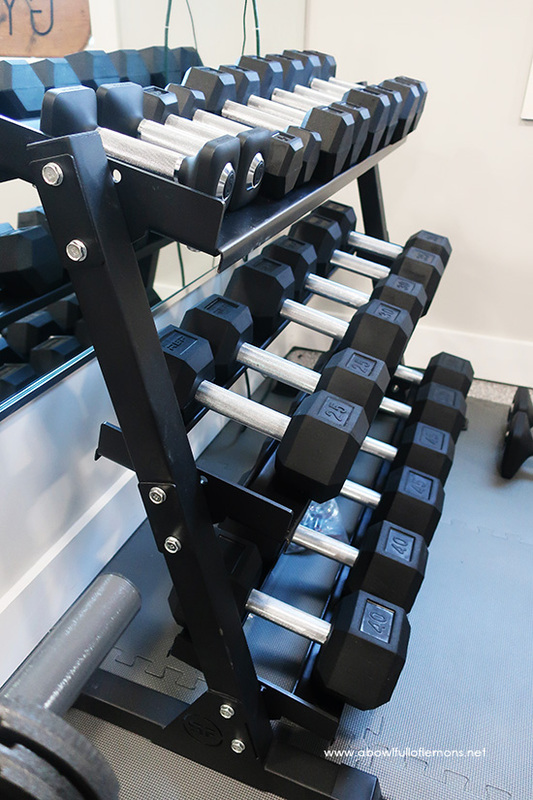 Everything in our gym is easily accessible. 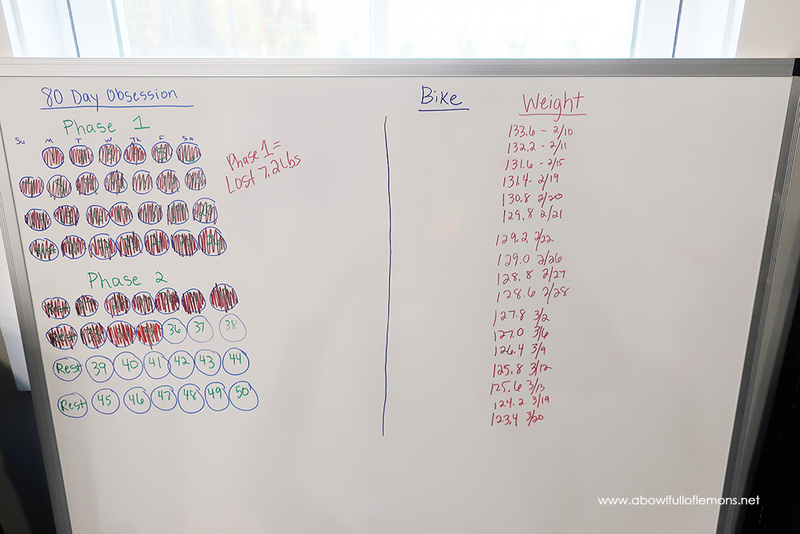 I use a white board to track my daily fitness progress. 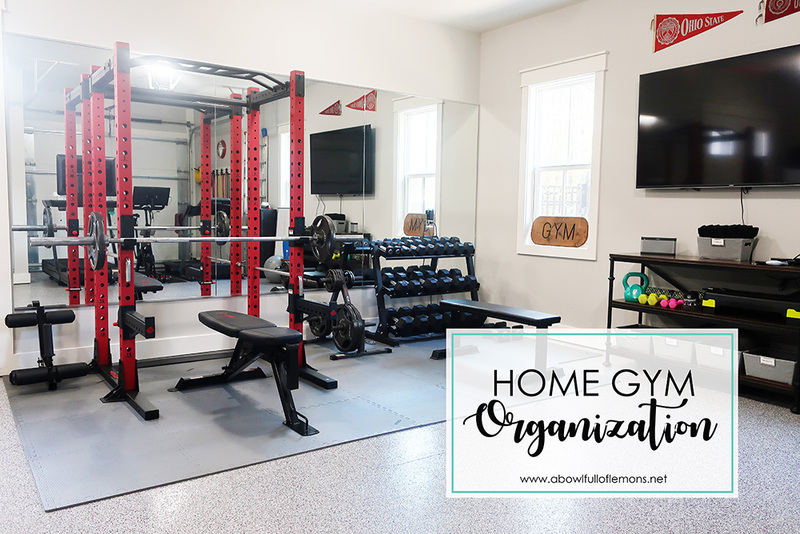 If you are interested in learning how to implement a workout routine and nutrition plan into your day, I would love to help get you started. Sign up to join my May fitness & nutrition bootcamp (before it fills up). Get your body ready for the beach! Send me an email to get on the waiting list. And no, you are not too old. I am almost 42 years old and this is the first time (since college) that I have felt this great! Age is just a number. Don’t wait another day to care for yourself. 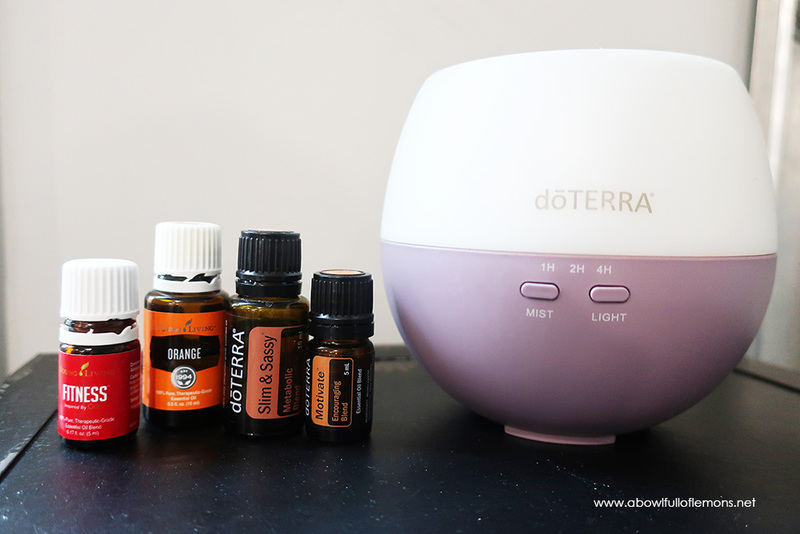 Of course, I use essential oils when I workout. These are my favorites. On the other side of the gym, we keep the treads and Peloton bike. 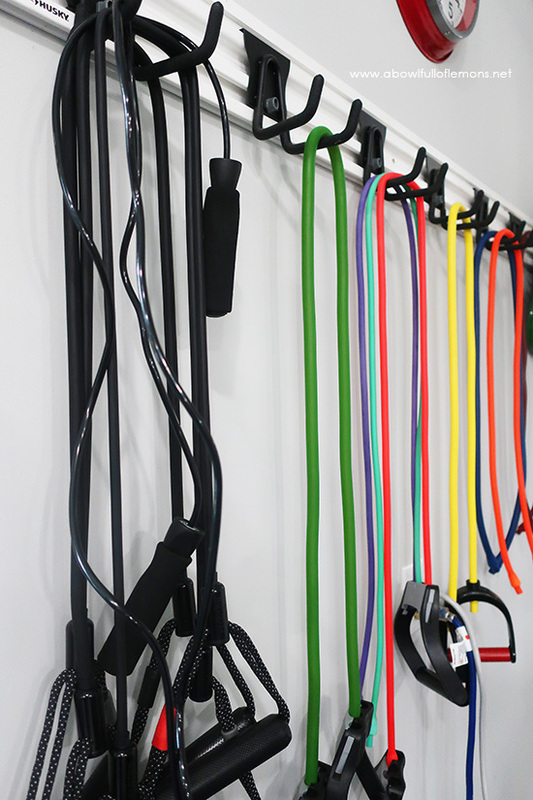 We also hang our exercise bands, so they’re easily accessible. Here is the Peloton bike. This is my husbands baby. He rides many miles every day. And here is my baby, the Peloton Tread. It’s my absolute favorite purchase ever. I’ve used it every single day since it was delivered back in February. If you want more details about the Tread, visit my Instagram highlights. I share all about it. If you are interested in purchasing a Peloton, use my code to get $100 off. CODE –> 2G3HA6. It’s for beginners and experts alike. 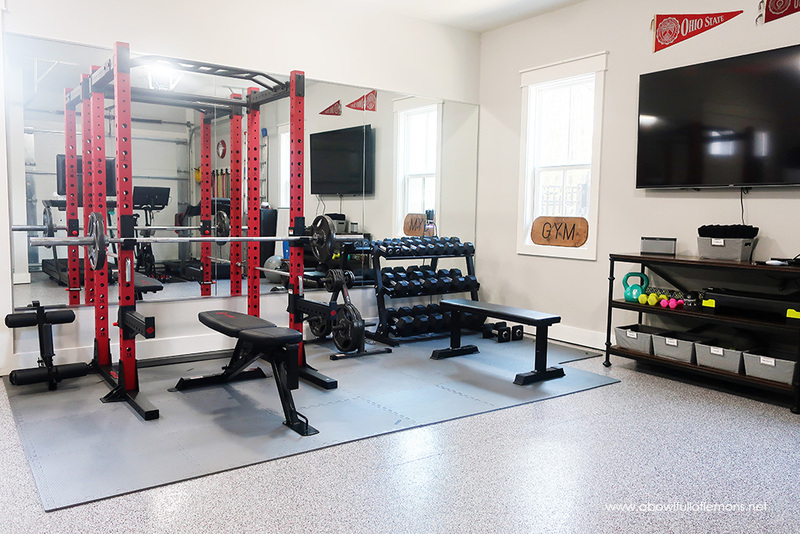 If you don’t have the space to dedicate a room in your home as a gym, you can still do it on a smaller scale. 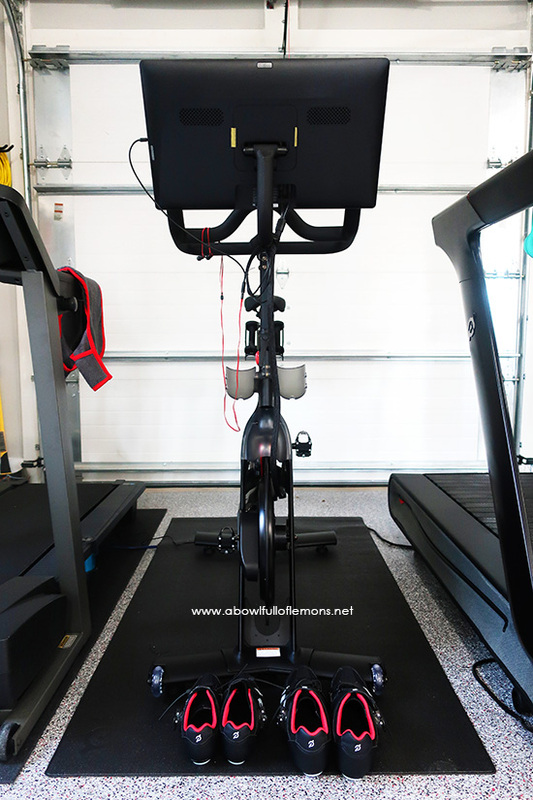 This is our exercise area in a small corner of our old home. It can be done in any space! 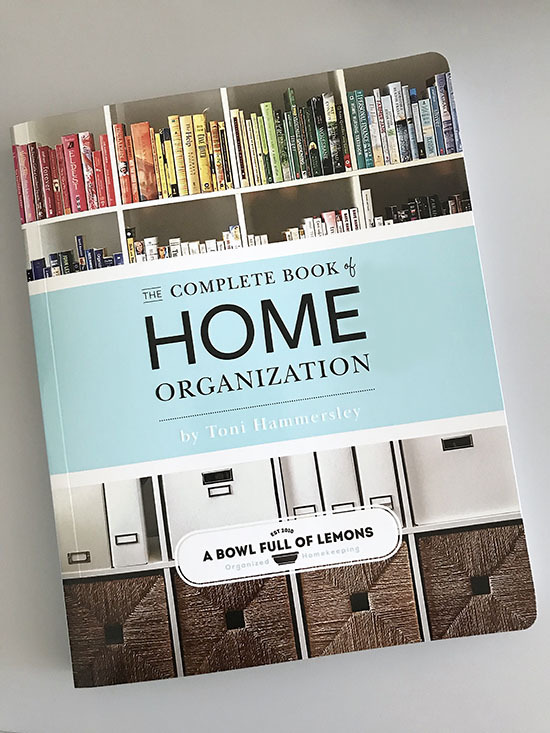 If you need help getting the rest of your home organized, be sure to check out The Complete Book of Home Organization. 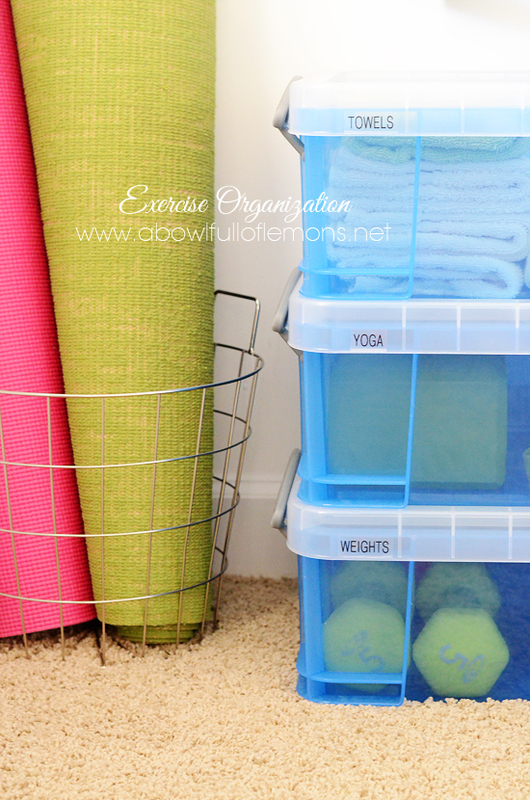 I share tons of tips and ideas to get you organized! 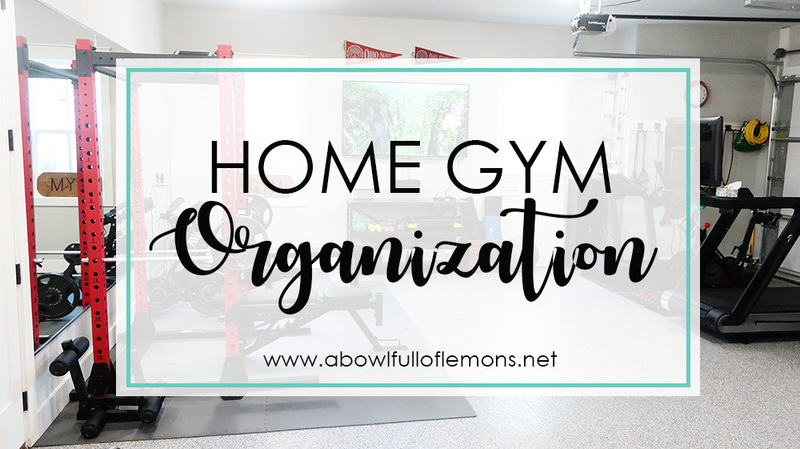 So that’s our home gym. I hope it has given you inspiration to set up your very own gym. 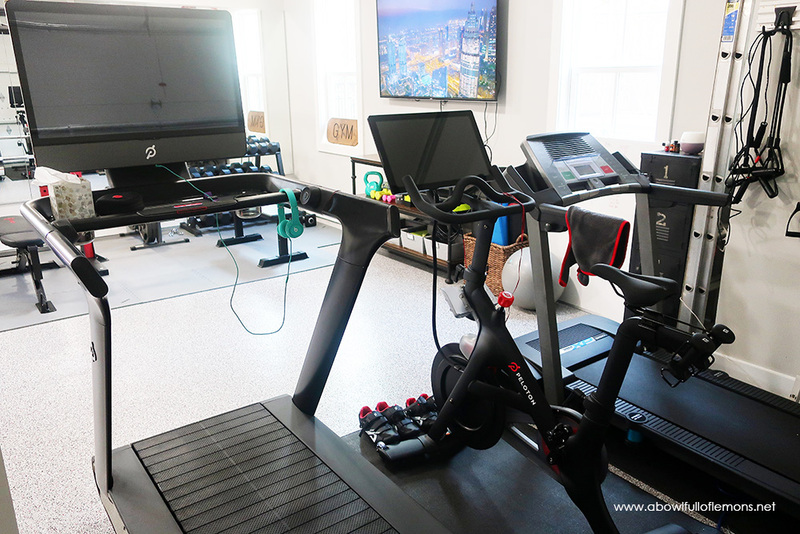 We are so grateful to be able to have all of this equipment in our home and we take full advantage of it daily. *Details: Wall paint is repose gray by Sherwin Williams. Trim color is alabaster by Sherwin Williams.